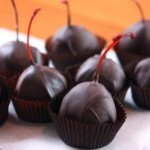 This one is dedicated to Papa Kompik, a recipe for dairy-free and egg-free chocolate covered cherries, ready to share. Queen Anne chocolate covered cherries were the traditional Christmas gift for my Papa Kompik. The Queen Anne factory used to be located nearby and used local cherries. Seeing the boxes stacked high in the city stores and then reading “Hart, MI” on the label was pretty much as close to fame as a kid could get. At $1 a box, it was within a piggybank budget, and the best part was knowing he’d share. Papa’s usual routine was to unwrap the box in surprise, open the cellophane with his pocket knife, eat one himself and pass the box around. Queen Anne has since been acquired by a Chicago company, and Papa passed away a few years ago. I created this recipe for the first Christmas without him, knowing the tradition would continue and wanting my kids to join in. I’m sure he would approve of “Queen Meg” and the return of the local cherry cordial factory. Merry Christmas! In a mixing bowl, blend the shortening and the corn syrup. Add some cherry juice as needed to make a soft dough. You want this fondant to be pretty soft, but not liquid or sticky. Chill fondant in the refrigerator for an hour. Drain the cherries, and set on paper towels. Pull off a blob of fondant, about the size of a big gumball. Flatten it out in your hands into a disk and wrap the cherry in it. Don’t worry if it isn’t perfect in shape, you can fix that later. If your fondant is really soft, you’ll have great cordials later, but it can be hard to wrap the cherries, don’t despair. Place on waxed paper. Once all the cherries are done, place in the freezer for a few hours, or a few weeks. If your cherries are kinda funny looking after freezing, just remove them, roll around in your hands to reshape and freeze again. Melt the chocolate chips and shortening in the microwave slowly, add more shortening if the chocolate seems too thick to dip. You’ve got a few options as far as how to dip. For cherries with the stem you can just use the stem as your dipper. Without the stems, you can use two plastic forks with the middle tines broken out as your dipping tools. Allow to dry on waxed paper. You may need to go back and patch any holes with melted chocolate. Let these guys sit for a week or so to let the centers liquefy a bit. I found this cool stuff, invertase, at sugarcraft.com. It’s an enzyme that breaks down solid sugar to liquid sugar, I add about 1/2 teaspoon to the fondant and the centers become nice and liquidy after a few days. Oh, thank you for this! 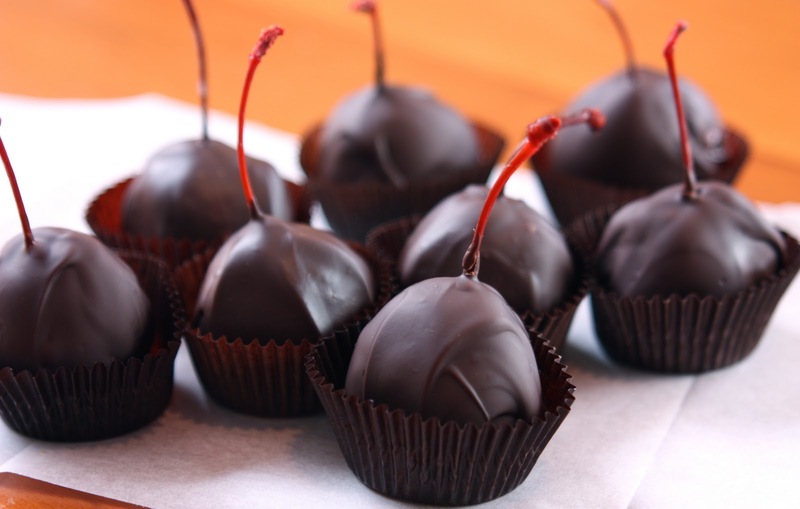 Choc covered cherries are one of my absolute favorites, and now I'll be able to share them, too. Enjoy your holidays! Well played Meg. I miss him in strange little ways now and then. Barak bought me a package of chocolate covered cherries for Christmas with the same intention of continuing this tradition. I recently stumbled upon your blog and I love it. My daughter has the same allergies as your daughter. Also, I grew up in Michigan so I definitely LOVE your blue moon recipe! I'm excited to give it a try. I also loved your Mother's Day post from a few years ago. I want that for my daughter – people begging her for her food and staring longingly in HER lunchbox. I hope I can do it as well as you seem to have so she won't see it as a negative or scary thing either. I've had a goal of cooking more meals that she can eat. Like you, I often find myself cooking something she can't have then giving her some sorry excuse of a meal to eat. I tried your meatballs last week for a family dinner and they were a hit with everyone. Thanks for putting these things together for other people to find. 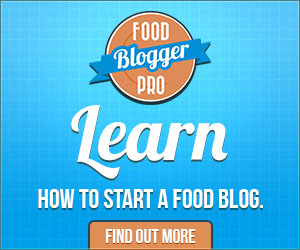 The recipes are helpful and your attitude is encouraging. Can I ask how long these last? I used to make them with condensed milk and could keep them in the fridge for about a month are these the same? I’d say these could keep for a month. There isn’t any dairy that would spoil.